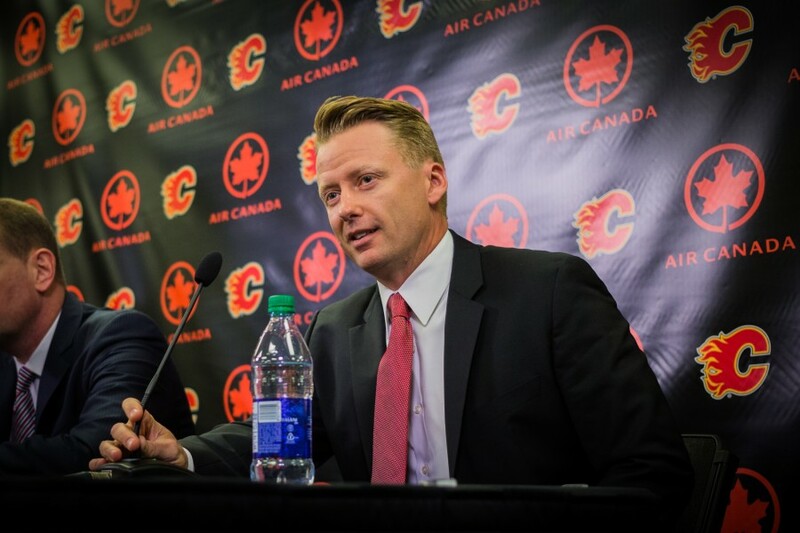 Glen Gulutzan joined some select company on Friday when he was named the new head coach of the National Hockey League’s Calgary Flames. Gulutzan is now the fourth former University of Saskatchewan Huskies hockey player serving as a head coach in the 30-team NHL, joining Todd McLellan (Edmonton Oilers), Willie Desjardins (Vancouver Canucks) and 2016 U of S honorary degree recipient Mike Babcock (Toronto Maple Leafs). After finishing his Western Hockey League career with the Saskatoon Blades, Gulutzan moved on to campus at the U of S to play two seasons for the Huskies hockey team from 1992-94, firing 24 goals and piling up 64 points in 55 games in the Canada West conference. Gulutzan played for current Huskies head coach Dave Adolph at the U of S, while earning a Bachelor of Education. Gulutzan went on to play seven seasons of professional hockey before beginning a 15-year coaching career that included a two-year stint as head coach of the NHL’s Dallas Stars and the last three years as an assistant with the Canucks under Desjardins. Now 44, Gulutzan replaces former Flames coach Bob Hartley and takes over a team that missed the playoffs after posting a 35-40-7 record in 2015-16. For the full story on Gulutzan’s hiring today, check out the Calgary Herald or read more on the Calgary Flames website.